but i did not get any bolts or brackets with my order. what do i need and where do i get them from. It looks complete, at least the major items seem to be there. 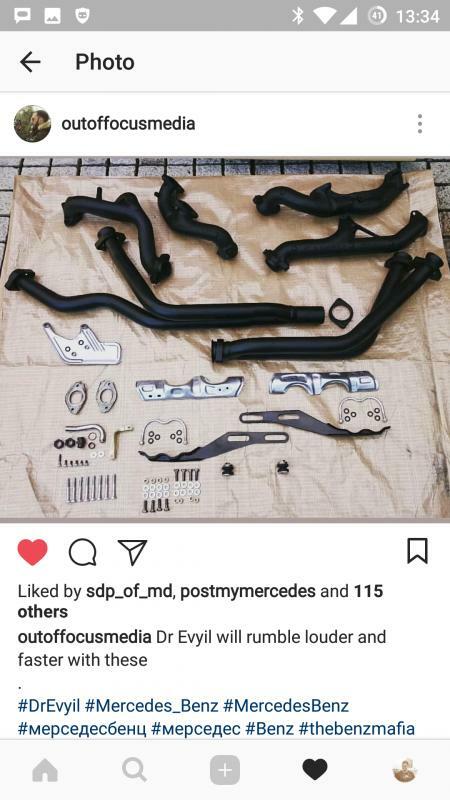 If I may suggest, maybe you can ask the other forum members for a picture/s (from the MB EPC) showing the tri-y exhaust system as used in the ROTW W126 M117...then with the indicated numbers, you can trace the missing items, if any. I've attached some pictures + also that of the MB EPC picture I was referring to on my earlier post. Please note that mine is for an R107 thou. From personal experience, I know you will really enjoy the results gained. 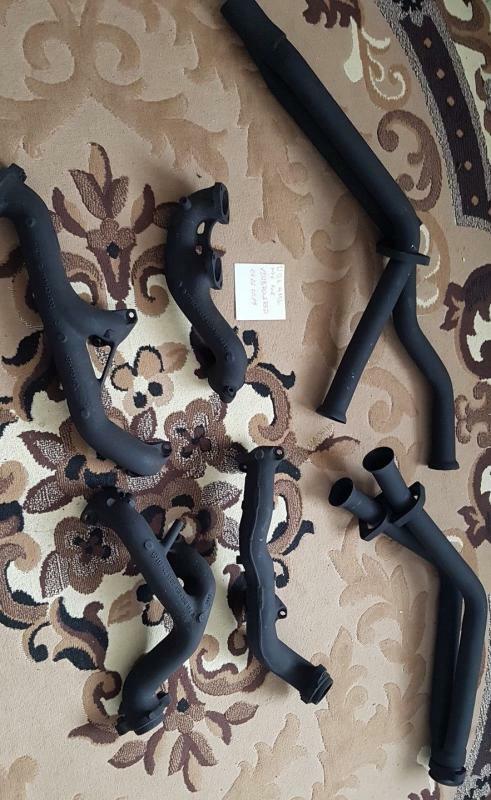 The parts image is from the iauto.It site. MouseOver the numbers shows the quantity needed & where. 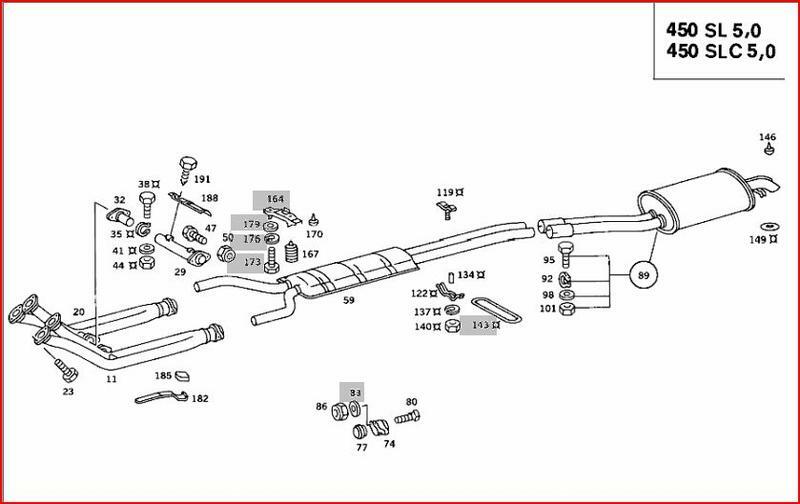 Click on the diagram number, the parts list displays with your selection highlighted. For example, you'll need a couple of 209 support brackets & ditto to the 251 hardware kits. Though the pages do NOT show the manifold to heads gaskets & hardware, I do have a parts invoice somewhere around here that has ALL those items needed listed. I will dig around for you after breakfast. Last edited by MBL87560SEC; 02-05-2019 at 03:43 AM. You need to show us few clear pictures with what YOU have, then you will get accurate advice. One thing that many times gets neglected is the heat shield on the driver side, under the car, between the downpipes and the floor of the car. One other thing you WILL need is the "Y" pipe between the downpipes and the resonators (I am assuming you have the crossover pipe to the passenger side). 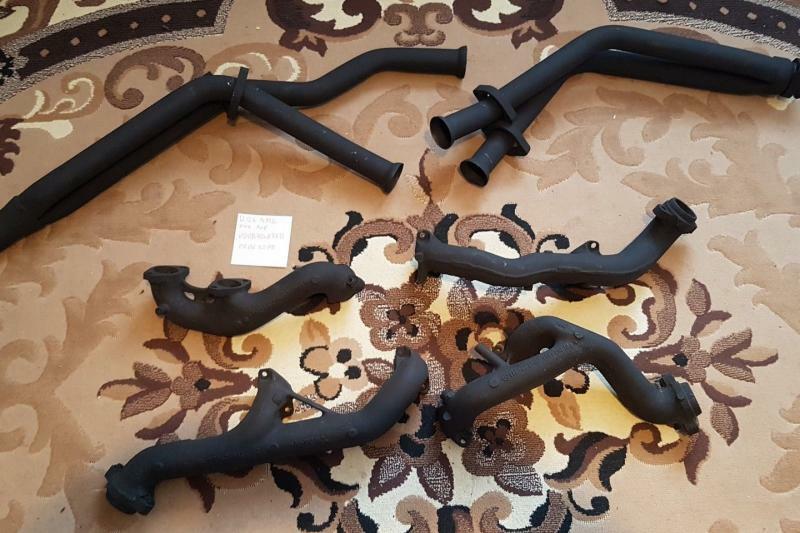 If you plan on getting rid of the resonators, then you will need a (double) pipe section (and at this point probably would be best that a specialized shop should do the job). My personal opinion: if you already have Euro logs, leave it alone and enjoy it as is. I don't think the trouble and the cost associated with installation of tri-ys will justify the gain. Sorry, just my honest opinion. 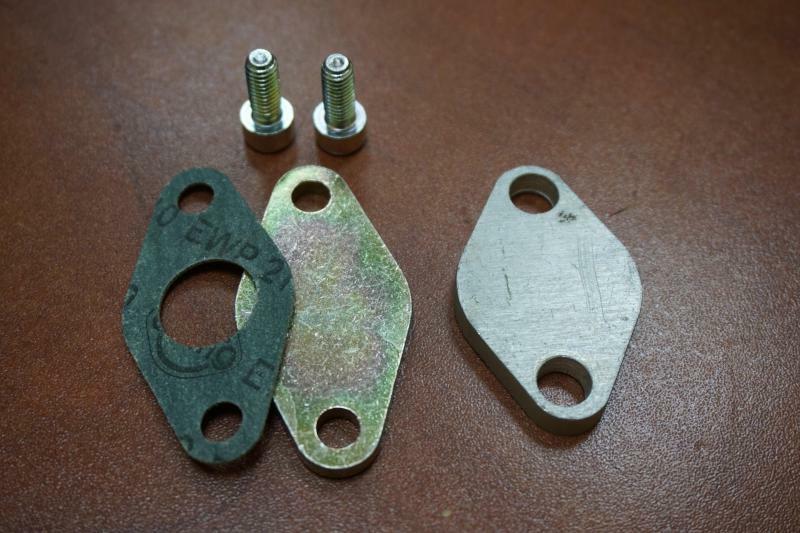 If I may suggest, rather than plugging the egr holes with weld, have a block off plate done with new gasket (as per picture attached).